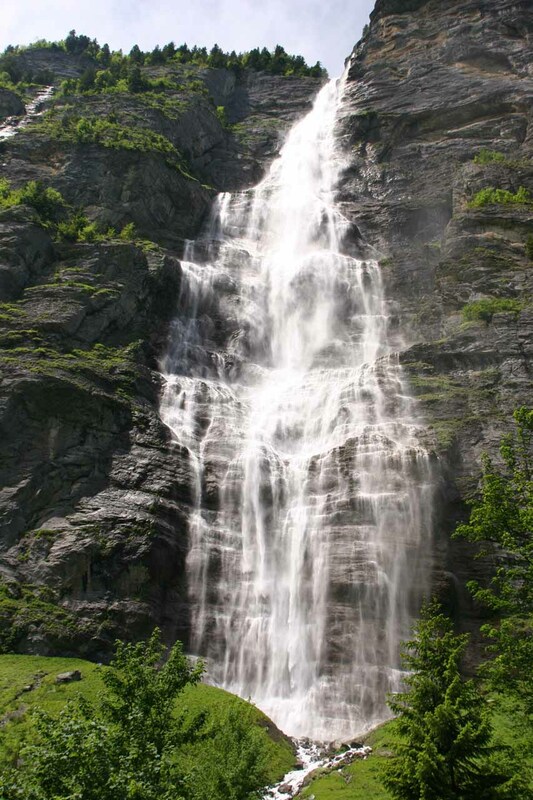 Murrenbach Falls (also Mürrenbachfall or Mürrelbachfälle in German; pronounced “MEUR-un-bahkh-fell-uh”) took us by surprise as it fell prominently deep within Lauterbrunnen Valley. 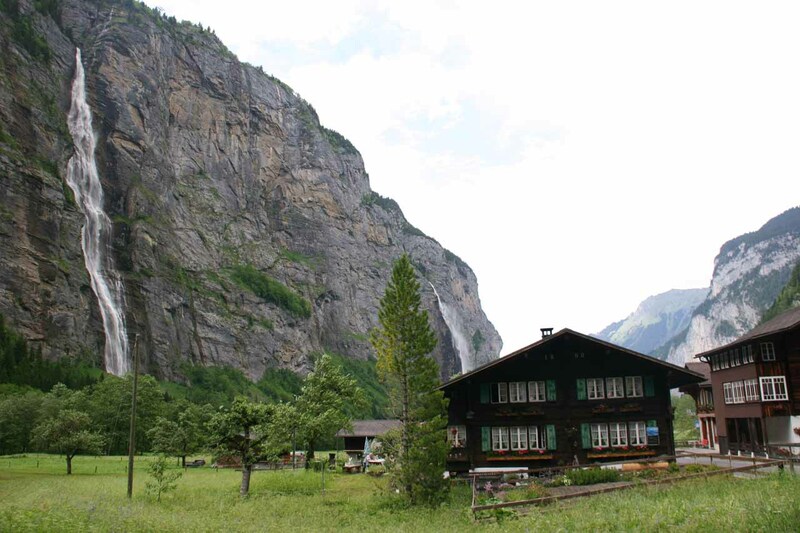 It surprised us because prior to our visit, we thought the main waterfalls in the valley were Staubbach Falls and Trümmelbach Falls, but the more we looked at this waterfall, the more we realized that it was every bit as legit as their more famous counterparts. Perhaps it didn’t quite get the notoriety that its neighbors got because it sat fairly far back in Lauterbrunnen Valley so wasn’t as likely to be noticed by as many people. 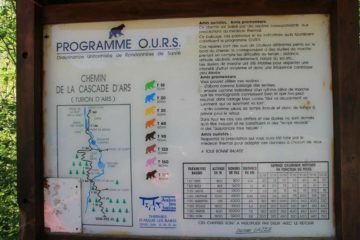 In any case, we were able to view this waterfall from a variety of positions. 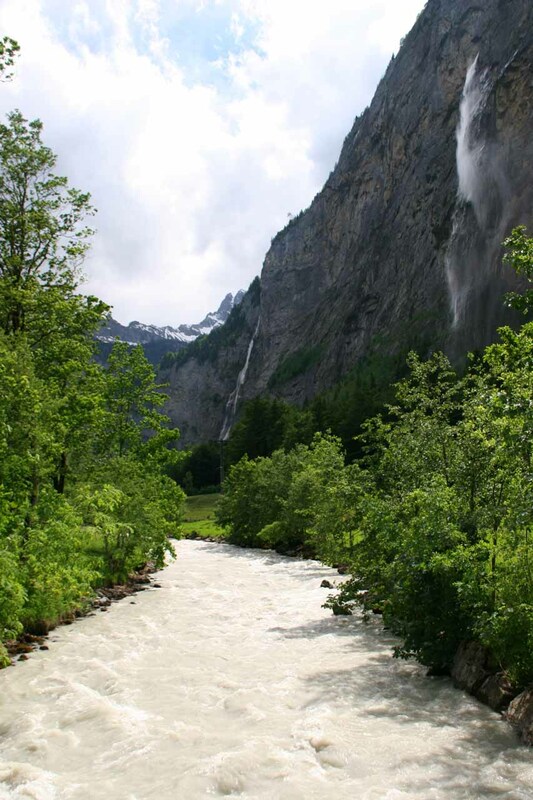 However, we couldn’t get as close to it as Staubbach Falls or Trummelbach Falls so we didn’t quite get that intimate feeling that its more famous counterparts provided. 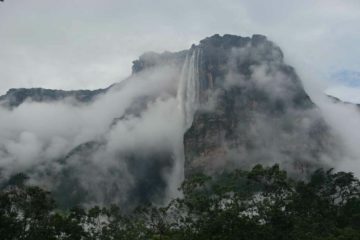 Nevertheless, as you can see from the photos on this page, the views we did get were good enough to still feel like we got to be familiar with it, and considering we hadn’t expected to see it when we were trip planning, I’d say this was quite the waterfall bonus. I believe this waterfall flows year round, but I can only guess about its flow towards late Summer or through Autumn. Given my experience with other snowmelt waterfalls such as in Yosemite Valley, I’m guessing that its flow might be considerably thinner through those months. However, I also noticed that the mountains here seem to get a lot more snow than in the Sierras of California so perhaps my hypothesis might be overly conservative. 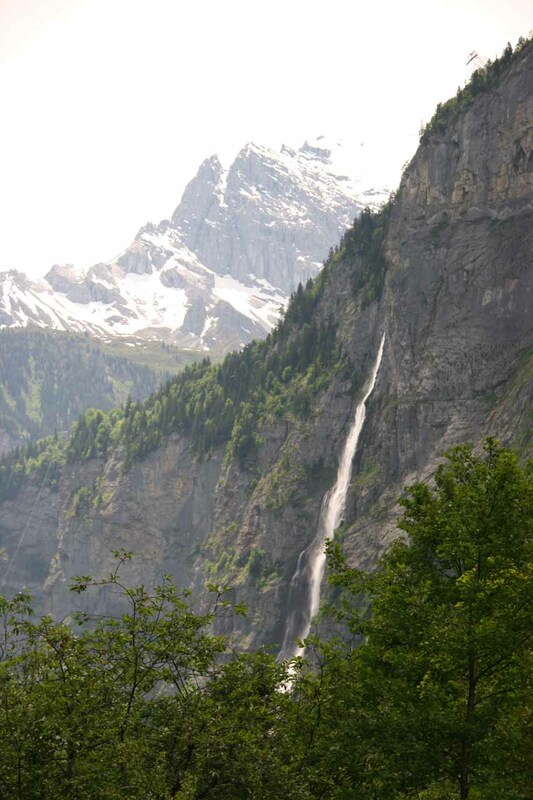 On a technical note, the signs here indicated that Murrenbach Falls was possibly the tallest singular vertical waterfall in Lauterbrunnen Valley (and possibly the country) at 417m. Interestingly, I noticed other signs that said the height figure was more like 428m or 430m among others. 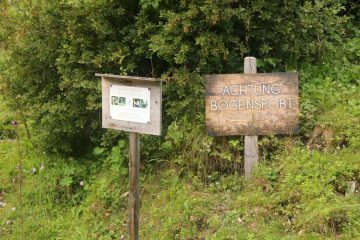 In any case, that would put it higher than Staubbach Falls’ 297m drop and Seerenbach Falls‘ 305m drop on its middle (2nd) tier. However, I wondered if this waterfall had a steep enough slope to be considered as having a very tall vertical drop. Admittedly, I don’t think there was a consensus out there as to how much slope would be necessary to count as “vertical.” While the signs here seemed to give this waterfall the benefit of the doubt, from our experience (and from the photos on this page), it seemed like a rather borderline case. To further support my skepticism, this waterfall didn’t quite exhibit the scattering behavior under windy conditions that its more vertical neighbors (e.g. 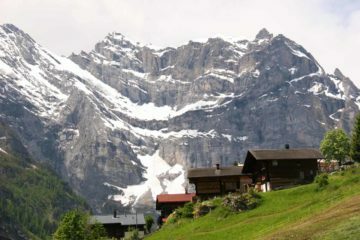 Staubbach Falls and Ägertenbach Falls) exhibited. 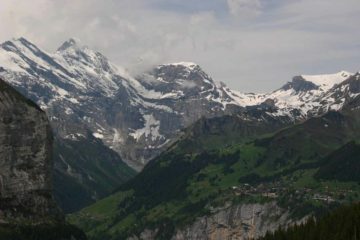 We were able to further test this notion by visually inspecting the waterfall from the cable car between Gimmelwald and the station near Stechelberg (though it was still a judgment call to determine the slope’s steepness even with this method). I guess to be scientific about it, we would have to use a rangefinder and clinometer combo and aim the tools at both the very top and very bottom of the falls. 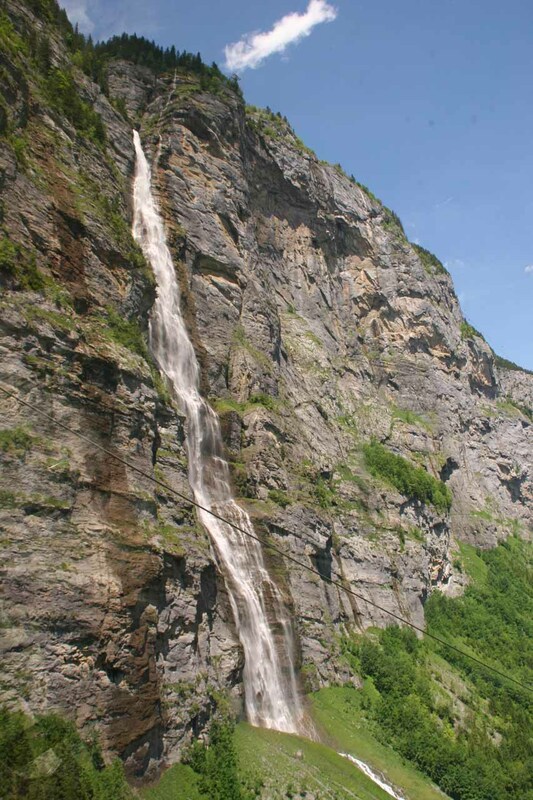 And instead of performing calculations using the acquired data to determine its height, we would have to tweak the calculations to determine the length (by using the cosine of the measured hypotenuse instead of the sine; see How Do I Measure A Waterfall’s Height?). It’s not hard to see this waterfall. 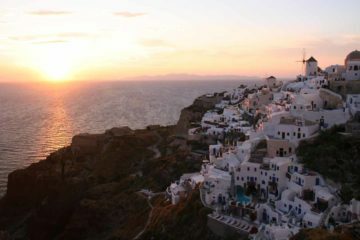 In fact, it’s hard to miss it once you’re in the general area. 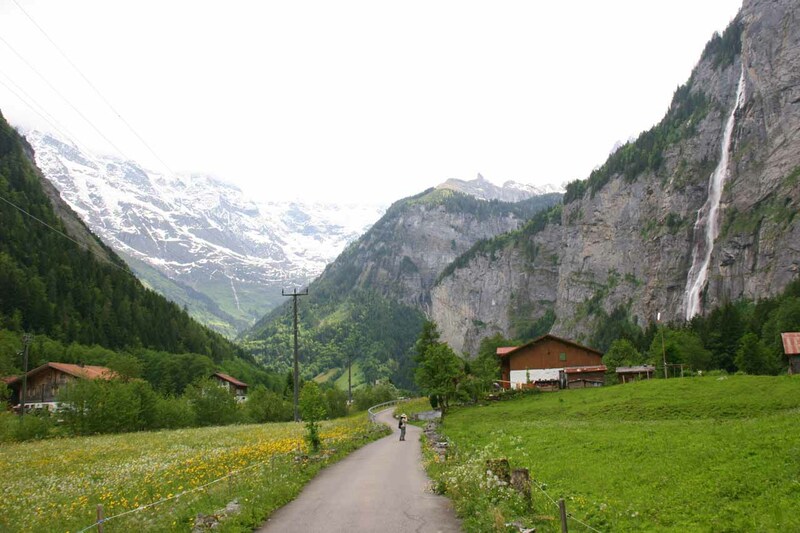 The key is to get deep enough in Lauterbrunnen Valley (closer Murren) to to see it. 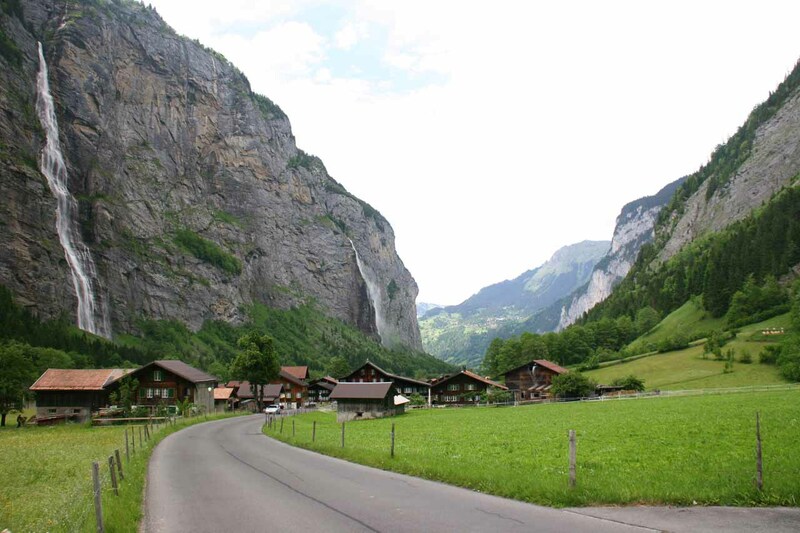 From Lauterbrunnen town (see Staubbach Falls page for directions on how we got to town), you have a choice of taking the bus towards Stechelberg or walking/biking there (I think you’re looking at 2-3 hours one-way if you’re walking all the way to Stechelberg at the end of the road). 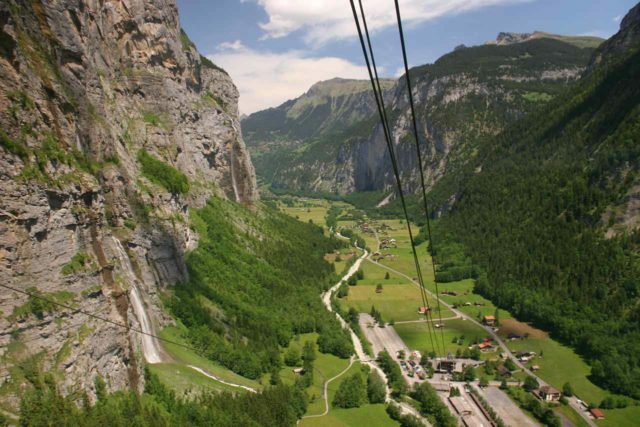 You can already start to see the waterfall from certain spots on the outskirts of Lauterbrunnen town, but the most direct views of Murrenbach Falls are from the Schilthornbahn cable car station (roughly 5km from Lauterbrunnen town and 2km from Trümmelbach Falls). 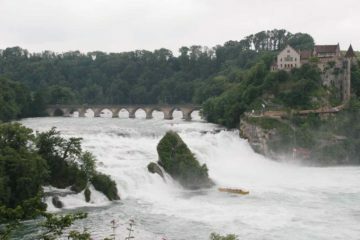 You can continue to see Murrenbach Falls from as far back as Stechelberg itself. 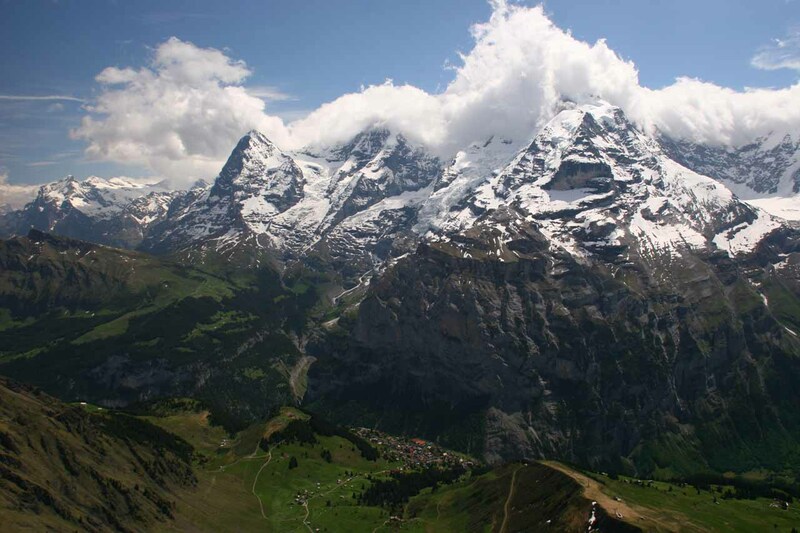 And, of course, you can also see it from the cable car between the valley and Gimmelwald (as mentioned earlier). 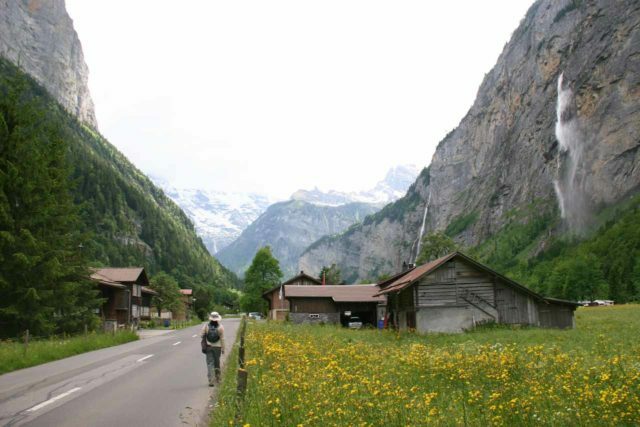 Finally, for some geographical context, the train ride from Interlaken to Lauterbrunnen was said to be about 25 minutes. 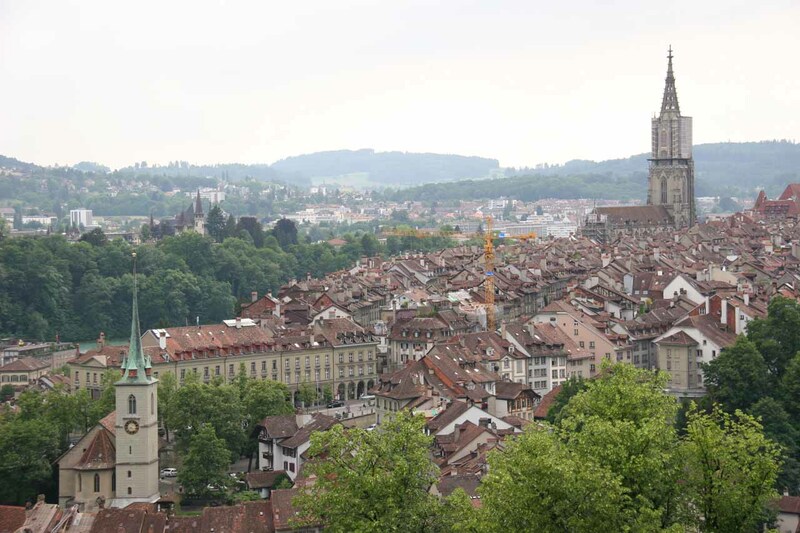 From Zurich to Interlaken was about 3 hours by rail.